Join The Wine Ladies Georgia & Susanne On The Abruzzo Wine & Food Tour! Click here for more details and to book your trip. Come join us on a magical experience in the incredible region of Abruzzo! Long time know as the hidden gem and undiscovered treasure of Italy. 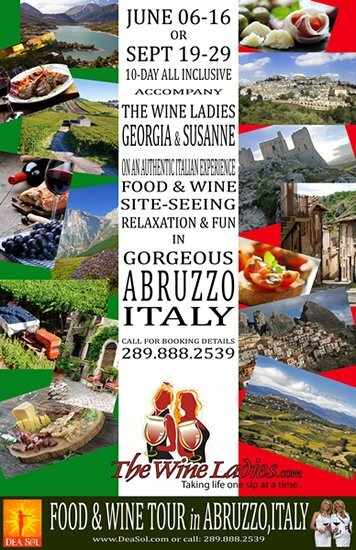 Join Georgia & Susanne the incredible “Wine Ladies” along with your hosts from DEA SOL, on the vacation of a lifetime uncovering The Wines, The Food & The Amazing Sights of Abruzzo! https://www.thewineladies.com/wp-content/uploads/2013/02/abruzzotourjunesept2013_wl.jpg 550 356 Susanne Seelig-Mense https://www.thewineladies.com/wp-content/uploads/2017/08/WineLadiesLogoTransparent.png Susanne Seelig-Mense2013-02-22 03:15:292013-02-22 03:15:29Join The Wine Ladies Georgia & Susanne On The Abruzzo Wine & Food Tour! Chocolate Truffle making made easy as 1-2-3! Today’s show is all about exploring the world of chocolate and chocolate and wine! The allure of the cocoa bean, the history of chocolate, and we’re even going to make our very own homemade truffles here today in the studio! We welcome to the show a chocolatier,who grew up tasting chocolates from around the world, Now the founder of his own company spreading his passion and the joy of chocolate with hands on workshops… “We can all be master truffle makers”, says David Levy, Founder and owner of Chocolate Tales. https://www.thewineladies.com/wp-content/uploads/2013/02/chocolatetaleshowdavidlevytrufflemaking.jpg 353 636 Susanne Seelig-Mense https://www.thewineladies.com/wp-content/uploads/2017/08/WineLadiesLogoTransparent.png Susanne Seelig-Mense2013-02-12 19:51:512013-02-12 19:51:51Chocolate Truffle making made easy as 1-2-3! 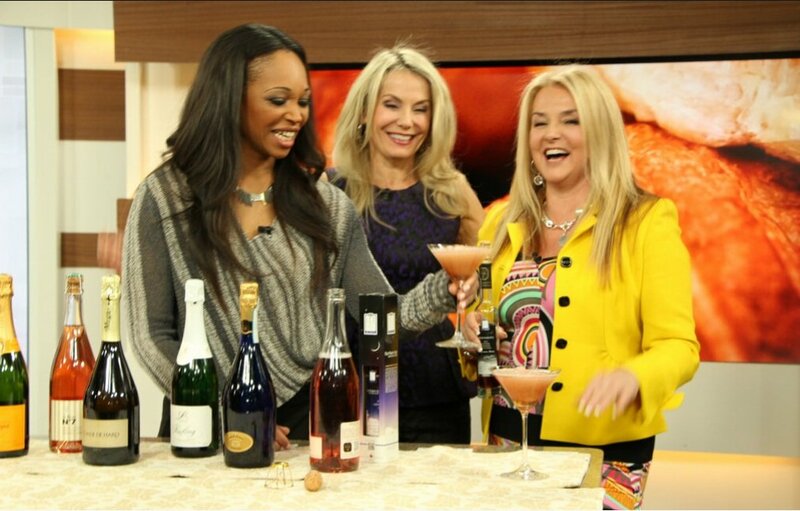 The Wine Ladies on set with TV host Tracy Moore of Cityline TV. 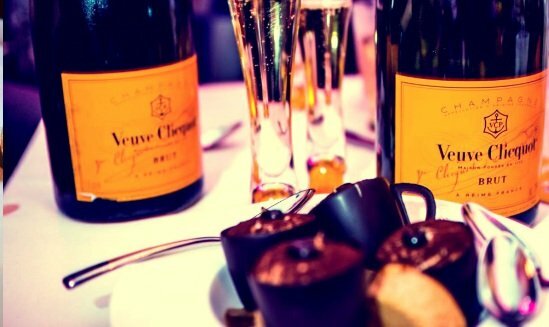 Discover the joy of bubbly… budget bubbly too! Make your Valentine’s Day sparkle. A very big thank-you to Canadian designer Ross Mayer for dressing us and making us look our very best! Ahhh… the secrets of bubbly from around the world! From Champagne to Cava to Sekt and Prosecco, the gentle mousse of these wines titillate the palate and tickle the nose! The flavours range from toasty biscuit and almond to zesty citrus and luxurious peach! Learn the story of the vessel from which you sip, including the coupe, the flute and the tulip! Finally a few favourites for you and your Valentine. Happy Valentine’s Day to all! Sparkling wines are made all over the world, but not all created equal! Rules, rules and more rules! A matter of geography, a mattter of method, of grapes and of taste! Lets unveil the sleuth in us and uncover bubbly, from fizzante to sparkling to Champagne! Indeed we cannot group all bubbly into one big bubble! Sparkling wines go by differnet names depending on their origin, how they are made, and which varietals that use to make it. Champagne, for instance can only be called champagne if it is made in the Champagne region located in the north-east of France, a mere hour away from “gay Paris”. The methodolgy (Methode Traditionnelle) is meticulous, costly and time consuming. The secondary fermentation, responsible for the bubbles… must take place in the bottle, after a still wine has been embellished with a touch of sugar/syrup and/or water and yeast. It is then capped with what looks like a coca cola cap. The fermenation begins and millions and millions of tiny bubbles will be the end result when it is finally time to pop the cork. Scientists with lots of time on their hands have counted… or estimated approximately 49 million bubbles! Vintage Champagne has to be aged for 36 months in the bottle requiring much patience and euros. The aromas and flavours of Champagne are seductive, characterized by a variety of distinctive toastiness, citrus, bisquit and brioche, with notes of almond and the elegant lively mousse. Simply devine! Our journey continues to Spain, where most of the sparkling is produced in the Penedes region, a brief car ride from Barcelona. Cava is what they call their sparkling wines, and they must also be produced in the “Methode Traditionnelle” as it is done in Champagne. Cava represents some of the finest value sparkling wines on the market today. Flavours can range from floral to apple and even notes of an earthy mushroom. Teriffic value bubbly starting as low as $10.00! We deviate from the Methode Traditionnelle to the Charmat method or tank method of producing sparkling wine, which has the secondary fermentation taking place in bulk in a pressure tank. The advantage to the Charmat process is that it is cheaper, faster and less labour intensive. Two other wine growing regions producing sparkling wines using this method are Germany and Italy. German speaking countries refer to their sparkling wines as Sekt. The base wine can actually come from another country, often France and Italy or others. Although Riesling is the predominant varietal this is not regulated. If a sparkling wine says “Deutscher Sekt” on the label, this means the base wine comes from Germany. The small amount of Deutscher Sekt that is made by the traditional method tends to consist of riesling, chardonnay, or the pinot varieties. 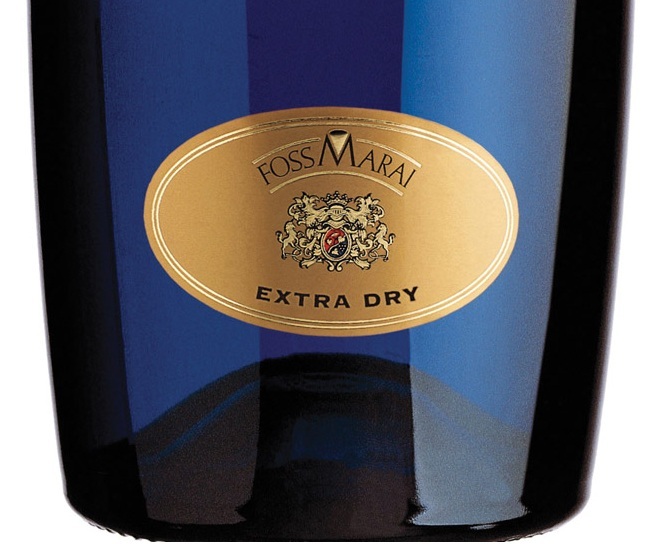 Finally, everyone has heard of Prosecco, that delightful, lively bubbly that hails from the Italian region of Veneto! Prosecco refers to the style of the wine, and up untill 2009 the grape. This changed in 2009 and is now called Glera. Prosecco, leading the charge in the tremendous growth in the sparkling wine category is characterized by light, persistent fruitiness, floral, apple, pear and a gentle mousse. Wonderful budget bubbly to be sure! What’s the difference between frizzante and sparkling? It all depends on how much pressure is in the bottle, frizzante has softer and fewer bubbles, “frizzante” is simply fizzy! 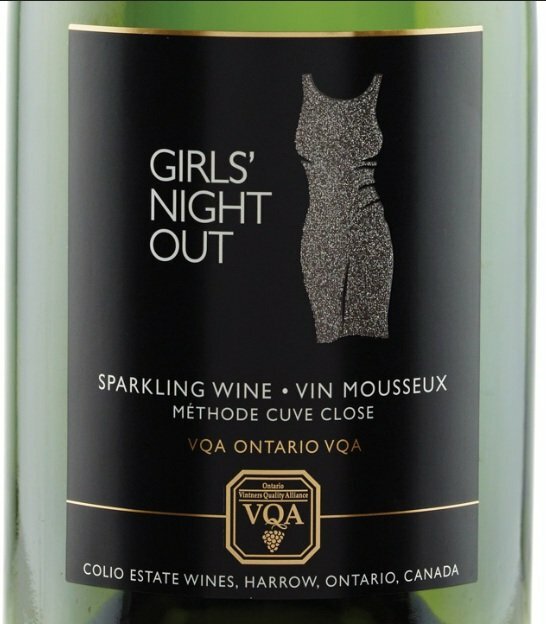 We end with a nod to one of our own sparkling wines, from Lake Erie North Shore, the Girls’ Night Out sparkling, produced with the Riesling grape. Delivering green apple with a citrus zest and a creamy, silky frothy finish. Delish! We embrace the versatility and celebration of bubbly with this delectable Cabernet Sauvignon Icewine Sparkling Slushie, as we toast with Tracy! Recipe courtesy of Karen McFarlane of The Ice House Winery in Niagara-on-the-Lake. This sumptious icewine with rich raspberry, black currant and long finish is the perfect partner for the topping of our rose sparkling wine from Konzelamann Estates. Place ½ of the ice cubes in a blender and cover with 100 ml The Ice House Cabernet Sauvignon Icewine, mix, then add remaining ice cubes and Icewine and finish blending. Veuve Clicquot Brut Champagne Pinot Noir/Chardonnay, Georgia’s Wine Pick. https://www.thewineladies.com/wp-content/uploads/2013/02/citylinethewineladiessparklingwinewithtracymoorefeb11th2013.jpg 647 1013 Susanne Seelig-Mense https://www.thewineladies.com/wp-content/uploads/2017/08/WineLadiesLogoTransparent.png Susanne Seelig-Mense2013-02-07 13:31:232018-04-05 10:20:54Discover the joy of bubbly! 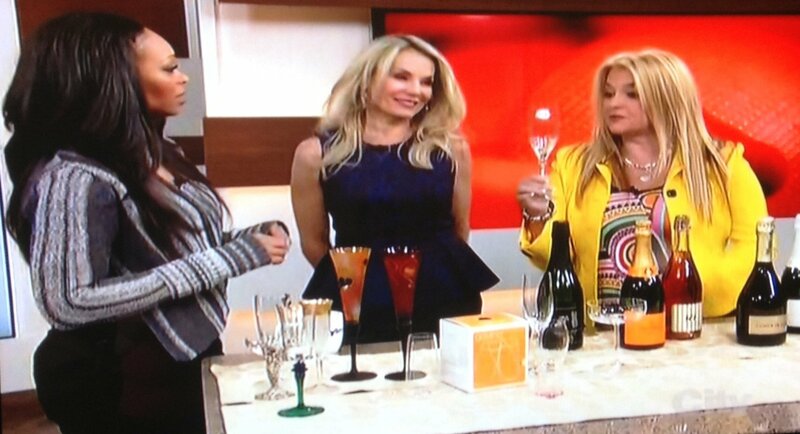 The Wine Ladies visit Cityline TV! May we suggest you forget the beer this year and enjoy some vino with your ahhhh food, like a bowl of chili and a glass of Malbec, spicy chicken tacos and Pinot Grigio, potato chips and Champagne (celebrate when your team wins in style!! ),chicken wings and Riesling or for zzzeee pizza a glass of Italian red! Hope your team wins! 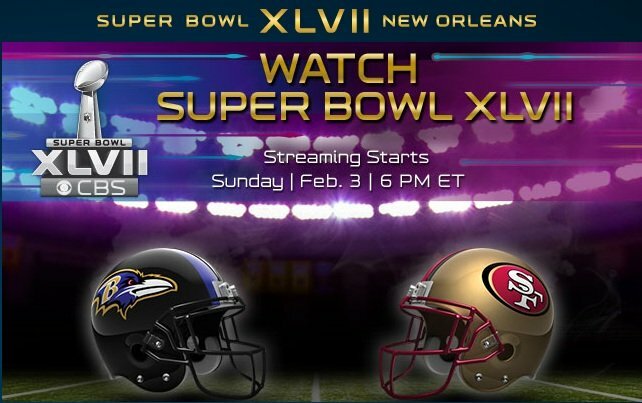 Score a Super Bowl touchdown with The Wine Ladies TV! What will you be serving at your Super Bowl party? It doesn't have to be Bud Light and Buffalo wings…. bring a touch of class to your Super Bowl event as The Wine Ladies and their guests Rudy Florio founder of Liaison College, former Alouette and Chef Shawn Whalen offer up a food and wine pairing touchdown! Whats a party without the wine? Also joining us from New York, home state of the New York Jets, Steven Shaw Jr. proprietor of Shaw Vineyarda small boutique winery located on Seneca Lake located in the Finger Lakes our neighbour and wine region just to the south of us. Shaw Vineyard- Wine is not our business it is our passion.